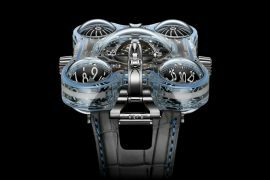 World’s first interstellar diamond studded watch! 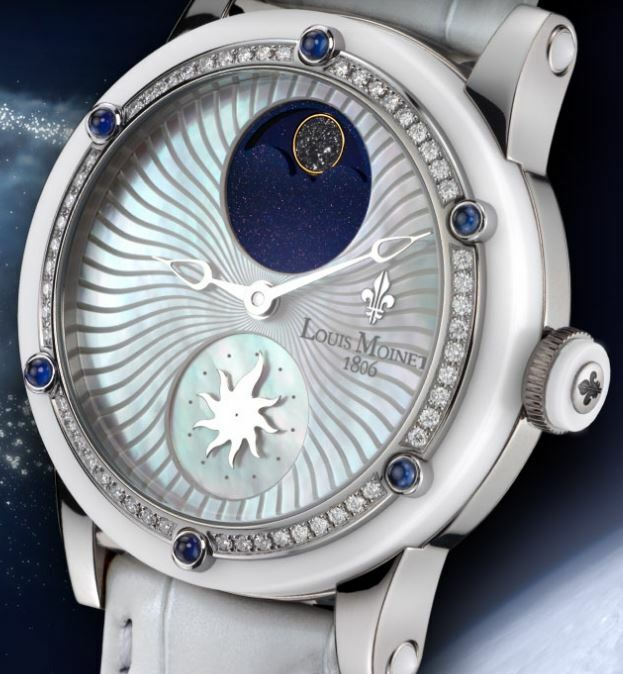 Dazzling Louis Moinet Stardance watch from ladies collection features an amazing moon phase created from fragments of Enstatite EH3 meteorite. Nano-diamonds found in the meteorite believed to have been formed billions of years ago when galaxies collided, even pre-dating our solar system. Amazing to think, this meteorite literally have journeyed billions of miles and years to end up on a woman’s dainty wrist on earth. It’s not just us excited about the out-of-this-world diamond studded timepiece, it delighted the jury in the Ladies Watches category at the Grand Prix d’Horlogerie de Genève so much, they pre-selected it as one of the seven finalists for the competition. The winner will be announced on Friday, November 15 at the gala event in Geneva’s Grand Théâtre. 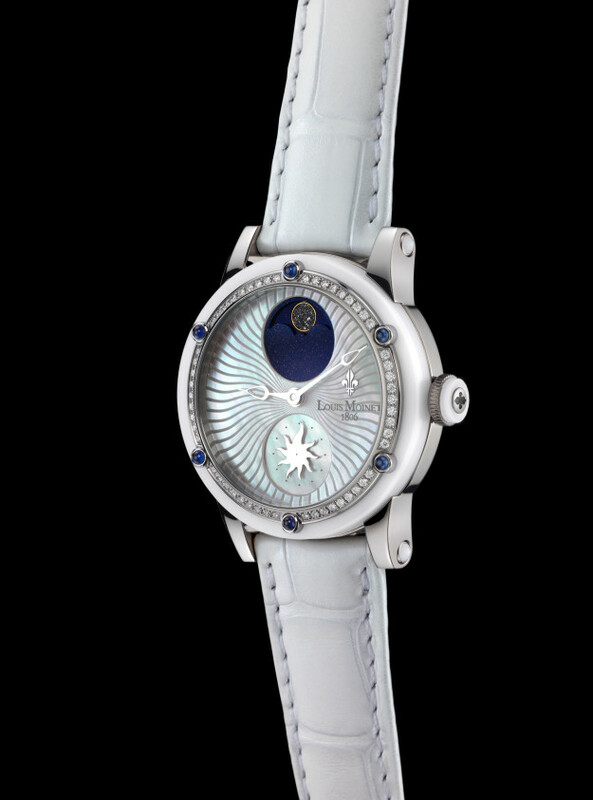 Stunning watch features a mother-of-pearl dial with Côtes du Jura guilloche and two universes of night and day. Meteorite moon surrounded by an aventurine sky indicating night is at 12 o’clock, with sun-shaped small seconds at 6 o’clock representing the day. Indicating hours and minutes are elegant Louis Moinet signature Gouttes de Rosée hands. There are two versions of the Stardance available. One with a diamond-studded bezel and one without, both versions are housed in grade 5 polished titanium case. Ceramic bezel is encrusted with a ring of dazzling 54 VVS Top Wesselton diamonds, divided into six segments by 6 cabochon cut sapphires. 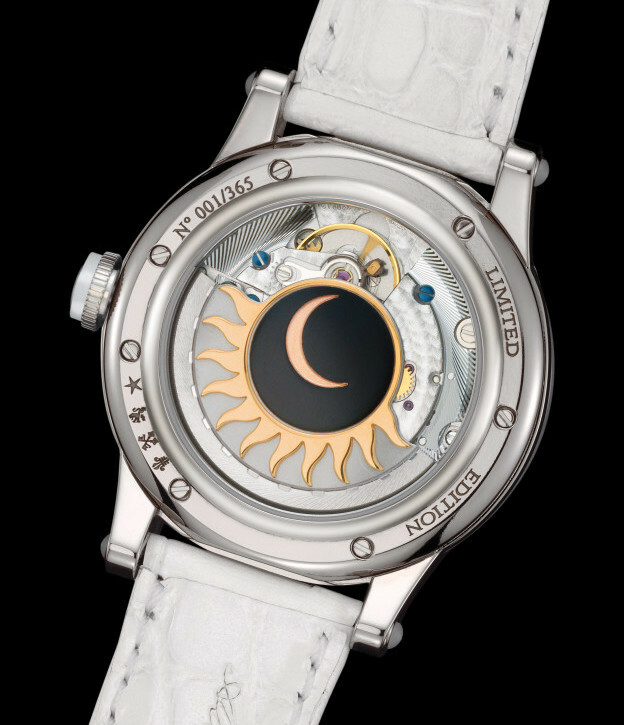 The day-night theme continues on the case back as well, with a central disc of automatic rotor decorated with moon encircled with sun rays. The automatic movement is visible through the case. 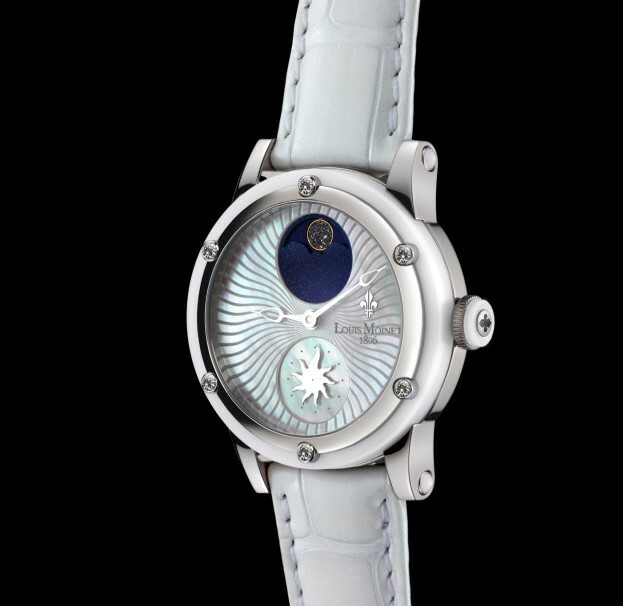 Stardance features an automatic movement exclusively developed for Louis Moinet by Concepto. It also boasts a power reserve of 42 hours. Completing the timepiece is a beautiful hand-stitched Louisiana alligator and crocodile leather strap, with stainless steel and titanium buckle. 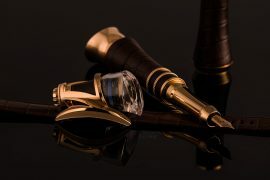 Both versions are available in a numbered 350 piece limited series.